"They should have called this Mini-Stargazer. 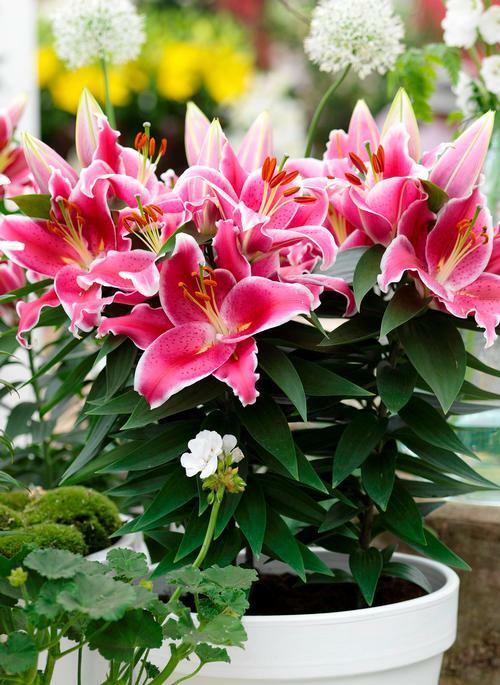 Same color as Stargazer, but with a perfect habit for pot production." Large fragrant dark pink flowers with white edges, considered a mini- Stargazer, strong stems with nice green foliage, 4-6 flowers per stem, 95 days to force.